Many people knowledgeable about Southern Pacific Railroad history are familiar with the distinctive standard designs of steel passenger cars developed in the early years of this century and known as the Harriman Standard designs. Not many people are aware that the railroads associated with E. H. Harriman (Southern Pacific, Union Pacific, Illinois Central) had developed standard designs for wood bodied passenger cars before the steel cars were developed. Southern Pacific Wood Harriman Standard Coach-Baggage-Postal Car No. 3156 is one such car, and among the last of the wood Harriman standard cars built. It was constructed by Pullman in 1910 for the newly formed Arizona Eastern Ry., a Southern Pacific Subsidiary. Records are not conclusive, but it appears to have originally been numbered AE No. 500, soon changed to No. 401. Sister car AE No. 451 had been built earlier the same year for the predecessor Arizona and Colorado. Both were classified 69-CBC under the Southern Pacific classification system. Upon consolidation of the Arizona Eastern into the Southern Pacific in 1924, car Nos. 401 and 451 became SP Nos. 3156 and 3157, respectively. After some time, the cars migrated to Nevada. Car No. 3157 was broken up at Sparks on June 15, 1939, while No. 3156 was vacated in March 1947. Subsequently, car No. 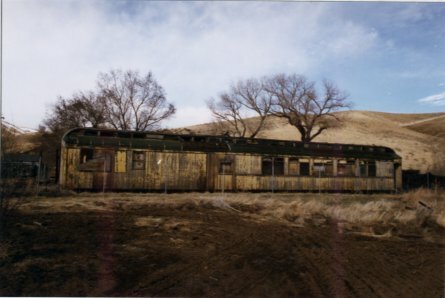 3156 was placed on the ground as a crew change facility in Imlay, Nevada, and left behind when the SP closed that facility. Following the SP years, the car passed through a series of owners until 1991, when the local county desired to lay a water line through the location where the car was located. The owner of the car could not afford to move the car, so desiring to see the car saved, he contacted the Nevada State Railroad Museum about a donation. An agreement was reached, and the car was moved to the Carson City museum location in September 1991, where it awaits restoration.